MAP International has engaged in the fight to end leprosy in West Africa since early 2002. We joined with renowned partners American Leprosy Missions, Effect:Hope and The Leprosy Mission Ireland. The fight against leprosy included strategies to cure, care and end the disease. 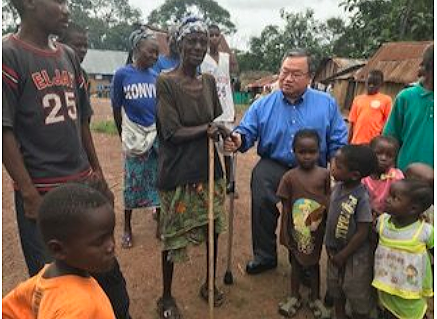 Recently, MAP President and CEO Steve Stirling visited a former leprosy colony in Bong County, Liberia. With help from our partners and generous donors like you, MAP repaired water wells and provided training and medicine for treatment for the many adults who formerly had the disease. He was greeted with smiling faces as they shared their stories. As we honor World Leprosy Day, will you help us provide more medicines to more people still fighting this disease? With your help, we can eradicate leprosy once and for all.